Alexander Mills entered a courtroom in December to face charges in connection with the shooting death of Vietnam veteran Donald Depina, who was working as a cab driver. More than 270 youths have escaped from Department of Youth Services facilities in the last four years, including a troubled 18-year-old who was charged in November with the murder of a beloved New Bedford cabdriver, a Globe review of agency records has found. Most of the young people who fled DYS facilities were returned to custody within 72 hours, but 10 were not found for more than three months. Thirty-five of those who escaped committed crimes after absconding, records show. DYS did not have information on the range of those offenses. Juvenile justice experts and advocates say that while the escapes are a concern, the community-based model used by the department since the 1970s is largely effective. These less-restrictive facilities — in which juveniles can attend classes or hold jobs in the community — have been effective at rehabilitating juveniles and integrating them into the community, so they are less likely to commit more crimes. That is not the case with locked facilities that more closely resemble jails or prisons. How did teen flee group home? An 18-year-old with a criminal record walked out of a “staff secure” group home, only to be charged with murder 18 days later. In 2015, DYS housed nearly 2,500 youths in a variety of settings. The state has about two dozen lower-security sites known as “staff-secure” community-based facilities, along with others that rely on lock and key to keep juveniles from leaving. Massachusetts is considered one of the better systems in the country, said Vincent Schiraldi, senior research fellow at the Harvard Kennedy School. The DYS holds about 515 residents in its facilities each day. Last month, the Globe requested data on escapes from DYS custody in the last 10 years, but the department said it could provide reliable data only for the last four years because of new technology installed in 2011. The recent case of the 18-year-old charged in the death of a cabdriver in New Bedford has drawn new attention to the DYS system for detaining youthful offenders, who can be held up to the age of 21. Alexander Mills was one of nearly 80 youths who escaped from a Department of Youth Services-contracted facility last year, according to data provided by the agency. He had been committed to a “staff-secure” group home in Fall River in November after he was accused of punching a boy and taking his cellphone. Mills, who has a lengthy criminal record, was supposed to remain under DYS supervision until the age of 21, but on Nov. 10 he fled the unlocked facility. Eighteen days later, he was arrested and charged with the murder of Donald A. DePina, a cabdriver who had served in the Vietnam War and worked for years as the director of veterans’ affairs in New Bedford. DYS is conducting an internal review to determine how Mills left the group home in the Falls River area. While some of the escapes have led to new crimes, Carey and others say the Massachusetts model is superior to the alternatives and said the escapes aren’t taken lightly. When New York transitioned to a more community-based model in 2012, there were more than 1,100 escapes during the program’s first year, according to a report produced by the New York State Office of Children and Family Services. “One of the recognized vulnerabilities of these placements is that youth have the ability to leave the program without permission,” the report states. Massachusetts moved away from its “training school” model — also known as reform schools or correctional institutions — in the 1970s and became one of the first states to change how it deals with youthful offenders by taking the community-based approach. The Fall River facility Mills fled is one of about 25 staff-secure residential programs across the state, where young offenders slowly earn the ability to participate in educational activities, counseling, and work before preparing to return to the community, officials said. But some of the escapes have had dangerous consequences. In 2007, then 15-year-old Jeremy Price was charged with manslaughter after he randomly punched Michael Hansbury, a 41-year-old father of three, who hit his head on the ground, fell into a coma, and died a week later. Price, a developmentally disabled teen, had been missing from a DYS facility at the time of the incident and continued to flee similar facilities while the courts debated what to do with him. He was found incompetent to stand trial. Suffolk Juvenile Court Judge Leslie E. Harris, who is now retired, released Price, who was shot to death three months later. In the more recent case involving Mills, prosecutors say he and a 16-year-old climbed into the back of DePina’s taxi Nov. 28 and told him to drive to a remote location in Brooklawn Park where Mills shot DePina in the head. 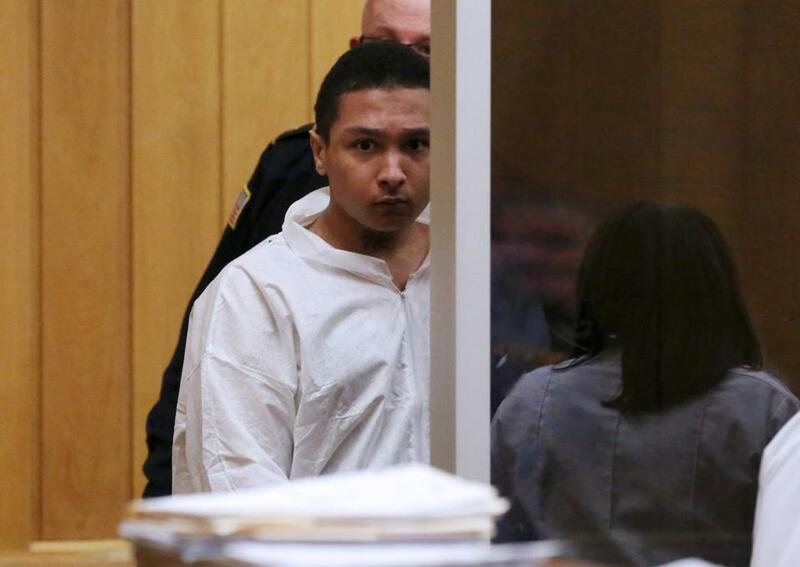 Mills stole DePina’s belongings after removing his body from the cab, prosecutors said. DePina died at a local hospital, and Mills, who was captured Nov. 30 in New Bedford, was charged with armed robbery, murder, and carrying a firearm without a license. Before he was arraigned last month, Mills told a court psychologist he hears voices that sometimes encourage him to harm people. His attorney, J. Drew Segadelli, said that there were indications his client needed medication and that prior to being sent to the group home, he had been held at Worcester State Hospital, a state psychiatric facility. The court later decided to send Mills to the Fall River group home, which DYS officials said has licensed clinical social workers to address behavioral health challenges. Harris, the Suffolk judge, had raised concerns years ago about the state’s ability to deal with youths who might have mental health issues. Recently, the judge said, “My biggest concern is [DYS is] not given the tools for mental health.